My career to date has been dominated by designing, building, operating and consulting about ‘cloud’. 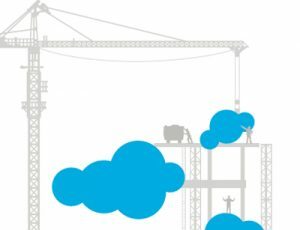 As the ‘cloud’ has evolved, and is still evolving, only recently becoming more mainstream for general consumption for most customers, the past few years have consumed a lot of personal time having to stay at the innovative edge of technology. 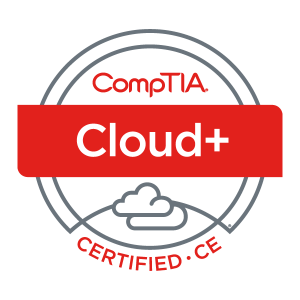 I am especially lucky and thankful that my family are very accepting of my passion towards my work and have allowed me to devote and invest large amounts of time into learning, developing and operating cloud offerings. All of the time investment has certainly taken it’s toll and I have decided recently it was time for a sea change of sorts. A sea change (or alternatively a tree change) is a radical departure from a previous lifestyle in search of a more peaceful or meaningful existence. It's about re-evaluating your needs and wants and enjoying life to the full — not merely existing. During my adventures with previous employers, I spent time presenting to the public and educating/mentoring the community about cloud. I found this very enjoyable and thought that it was something I would like to spend more time doing. After a lot of consideration and a desire to have a much better work/life/balance for myself and my family. I decided to take a role with a VMware Aggregator. My role is focused on VMware’s Service Provider Program. Being a VMware Program and Product specialist, I am tasked with enabling partners/customers with the knowledge of VMware products and the VSPP program. I am currently two weeks into this role, and have found myself heavily involved in the companies national roadshow, presenting and hosting workshops. The role also gives me the flexibility to also become a generalist across the VMware product portfolio, rather than focusing on one or two key products, I get to learn all the products and focus on how to productise the portfolio for consumption in ‘as a Service’ offerings. I am looking forward to thinking outside of the box again and thinking of innovative ways to consume VMware technology. As I spend more time enabling partners/customers with VMware products, I will be trying to develop content to post on my blog that helps inspire, empower and educate people on how to leverage and productise VMware technology for ‘as a Service’ offerings. Hopefully this will also provide me the hands on experience to pursue the VCAP certification paths and potentially a VCDX defence which I have been under pressure by various parties for the past few years to have a go at. I am certainly looking forward to what the coming months are going to bring in this new role, and look forward to meeting and engaging with a new network of people.